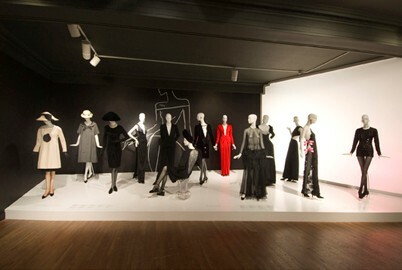 One of the highlights of my recent trip to Montreal was visiting the Musee des Beaux Arts to see the Yves St Laurent retrospective. 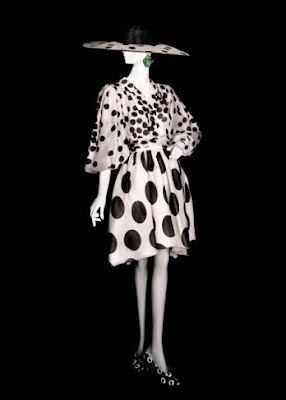 The exhibition, which opened only a few days before YSL died, spanned forty years of innovative fashion design and was awe inspiring, not least because you could really get up close and examine the garments to see the work that the couturier put into each outfit. 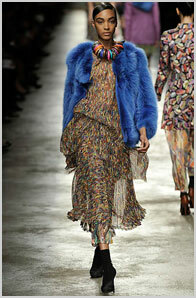 It is only when you get within two feet of a dress that you can truly understand how they can cost thousand of dollars. Memorable designs were the lattice beadwork fringed tribal dresses and this tiny little black micro minidress on the right designed for Diane Von Furstenburg by Yves St Laurent in 1990. Exquisite. The retrospective in Montreal has now closed but will open at the de Young Museum in San Francisco on November 1st. Go, and be inspired. Wow you get to go to wonderful exhibits! I am jealous.